With an Introduction and Notes by Keith Wren, University of Kent at Canterbury. The Man in the Iron Mask is the final episode in the cycle of novels featuring Dumas' celebrated foursome of D'Artagnan, Athos, Porthos and Aramis, who first appeared in The Three Musketeers. Some thirty-five years on, the bonds of comradeship are under strain as they end up on different sides in a power struggle that may undermine the young Louis XIV and change the face of the French monarchy. 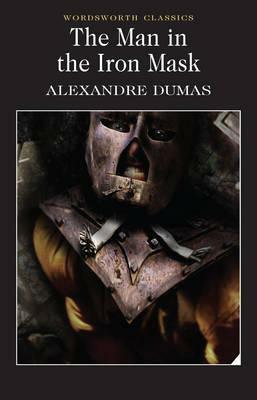 In the fast-paced narrative style that was his trademark, Dumas pitches us straight into the action. What is the secret shared by Aramis and Madame de Chevreuse? Why does the Queen Mother fear its revelation? Who is the mysterious prisoner in the Bastille? And what is the nature of the threat he poses? Dumas, the master storyteller, keeps us reading until the climactic scene in the grotto of Locmaria, a fitting conclusion to the epic saga of the musketeers.